Dr. Sarah Owens presented her paper “El legado del rosario maravilloso de Juana de la Cruz en los escritos de viaje (1620-1621) de sor Ana de Cristo hacia Filipinas” at the Congreso Internacional: Los conventos de monjas, arquitectura y vida cotidiana: del virreinato a la posmodernidad. The conference took place at the Museo de Franz Mayer (pictures above) in Mexico City from November 13-15, 2013. 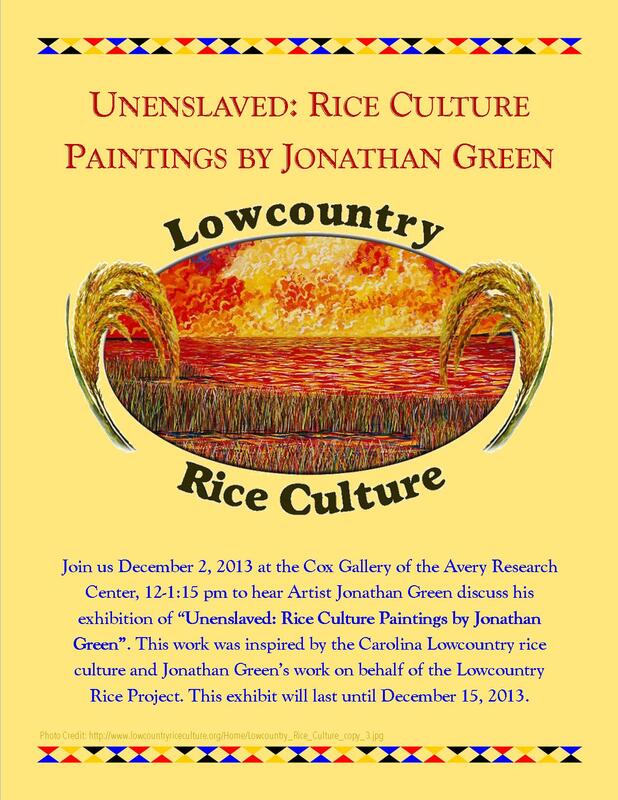 Jonathan Green, Artist, Cox Gallery of the Avery Research Center, 12-1:15 pm. While we commemorate the 150th anniversary of Emancipation in the United States, we’d also like to remember that slavery in the Americas did not end completely until 1888 when Brazil finally abolished slavery. Although photographic processes had been around since at least 1838, technological improvements in the later half of the nineteenth-century allowed slavery in Brazil to be photographed in greater detail. However, it was not until recently that the images were enlarged to show the brutal truths of slavery. A new exhibition in Sao Paulo, Brazil offers a more in-depth look at slavery through the preserved photographs. NPR recently featured the exhibit on their Morning Edition news program. In part of their interview, Lilia Schwarcz, one of the exhibit’s curators, says that they do not want to only show the slaves as victims. Machado says many slaves were running away, while others had formed armed bands and were revolting. The enlarged images show the look in the eyes of the slaves. The battle, says Lilia Schwarcz, is very evident. For more information and a video, check out the link here.